See your door design before we build it using our online Design Center tool. Play with different colors or finishes and add different door panel designs for more or less texture. See if you’re happy with the look of low-maintenance steel, or if you really do want a wood door in rich, warm tones. Don’t forget to accessorize with decorative hardware, especially if you are designing a Spanish or Mediterranean style wood door. You’ll need iron handles, hinges, and door straps to complete the look. 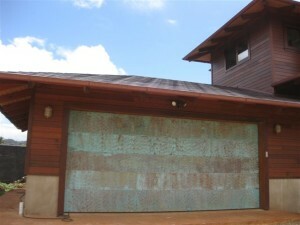 Getting expert installation for your custom garage doors Calabasas CA is imperative. Incorrect installation can damage your doors or opener system over time. For example, if the door isn’t balanced correctly, it can cause the opener tracks to warp or the door panels to buckle. When you work with Carroll Garage Doors for your custom door design and installation, you don’t have to worry about these kinds of problems. Our skilled technicians are experienced in all kinds of garage door opener systems and they can set up your new door right the first time.